How can you start a mentorship initiative? Mentoring is being used effectively in many scenarios e.g. to support emerging entrepreneurs, to tutor university students or learners, to support new mothers, etc. You may want to choose a specific focus area or just offer general mentoring aimed at assisting young people to enhance their life chances. Given that there is such a huge need, our recommendation is that mentoring initiatives for young people should include aspects that will improve their employability. Community organisations (e.g. churches, libraries) or clubs. You will need to pitch the idea of mentoring to other people who may be interested. It could be as simple as a few conversations or a post on social media platforms, or you might advertise in local media for people who are interested. Try to involve them in the planning of your intervention to ensure that there is good buy-in. Once you have a core group together, organise an activation session where you discuss and make plans for the way forward and distribute tasks to make it happen. This involves determining the basic rules of how you will work. For example, all new mentors will have a certain orientation; meetings with mentees must happen once a month; every three months there is a mentor support session, etc. There are a variety of resources that can help you with this depending on how ambitious you are in terms of the size and complexity of your intervention. If you are looking for something low-key that you can easily do as a small group of mentors, you could consider using our easy coaching/mentorship guidelines focusing on seven themes that are key in supporting a young person in their transition from school to education and/or to work. Note, however, that underlying these guidelines are the principles that should guide the development of supportive relationships with young people. If you would like to create an initiative that is slightly more structured, have a look at Heartline’s Mentorship Guideline. While it is written from a religious perspective, its guidelines on mentorship and advice on how to create opportunities for others to also become mentors, are excellent and generally applicable. Chronus’s how to start a mentoring programme resources. The DGMT NGO Commons – this website explains everything that you need to know about formally becoming a non-profit organisation in South Africa. 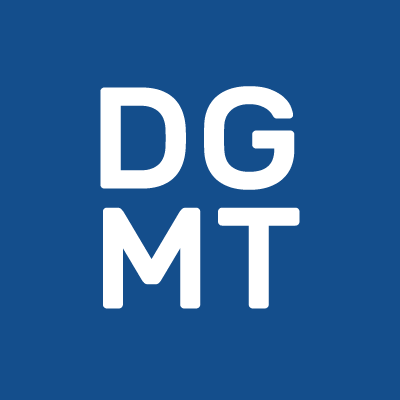 DGMT Growing Confidence – this website helps you to design your intervention in a way that will enable you to illustrate its impact and to attract funding.